Accessible to anyone with a good general background in mathematics, but it nonetheless gets right to the cutting edge of active research. Some results appear here for the first time, while others have hitherto only been given in preprints. 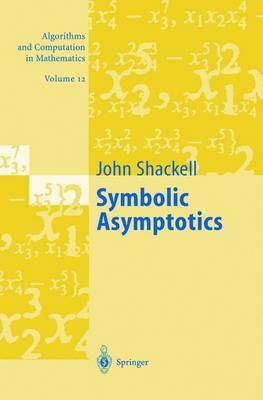 The book contains a wealth of information on symbolic asymptotics. It fills a gap in the literature and should be found in every library. The user of a computer algebra system who is interested to understand the output of a command like Maple's asympt finds much interesting information. Actually many users might not even be aware about the complexity of such a command."